We didn’t get a white Christmas but are we going to get some in January? We can’t be sure, but the last thing you want is to be without central heating when this happens. In the past many homeowners across Coventry & Warwickshire have been caught out by the milder winters but when the cold snap appears that are often caught out, literally in the cold. For most Christmas is expensive enough without the need for call out charges at this time of year for boiler breakdowns or central heating faults, sometimes it can’t be helped, especially if a Gas Safe Engineer or Electrician is needed but here are some tips on helping your central heating running and keeping you warm through January. During a really cold it may help to run the heating system with the boiler thermostat set to maximum. This is not the room thermostat normally located somewhere in one of your main rooms. This is the thermostat that is located actually on your boiler. Once the really cold snap is over turn the thermostat back to its usual setting. As a temporary measure it may also help to keep your central heating on a constant setting (24hr) as opposed to the timer setting. However keep your room thermostat on a slightly lower temperature of around 15oC. We certainly recommend this as an ongoing solution, as it goes against the idea of having an energy efficient boiler, but as a temporary fix, its worth doing. If at any time you need your boiler to be working at it’s during the winter months. In most cases boiler breakdown problems occur because of common faults and usually because it hasn’t been serviced for some time. 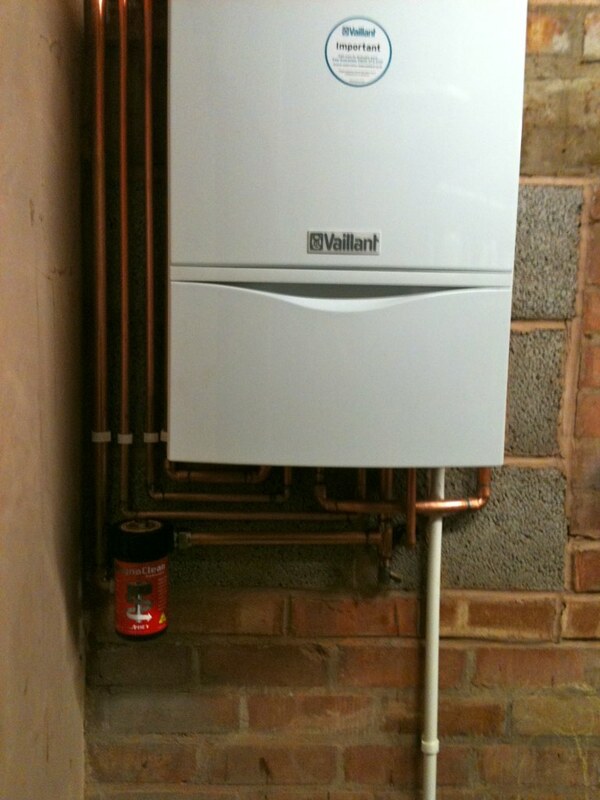 Like a car, your boiler needs to be serviced on a regular basis. Getting your boiler serviced before it gets too cold would be advisable before problems start occurring. Why your boiler becomes inefficient? When first installed a new central heating system normally consists a new boiler, radiators, pipe-work and an easy to use thermostat to control your heating system. Some years later problems start arising particularly at this time of the year, when you go to switch your boiler on for the first time for the winter. In most cases, after some time radiators have dis-colored and the pipework has now filled with a thick, black sludge that you can’t see. 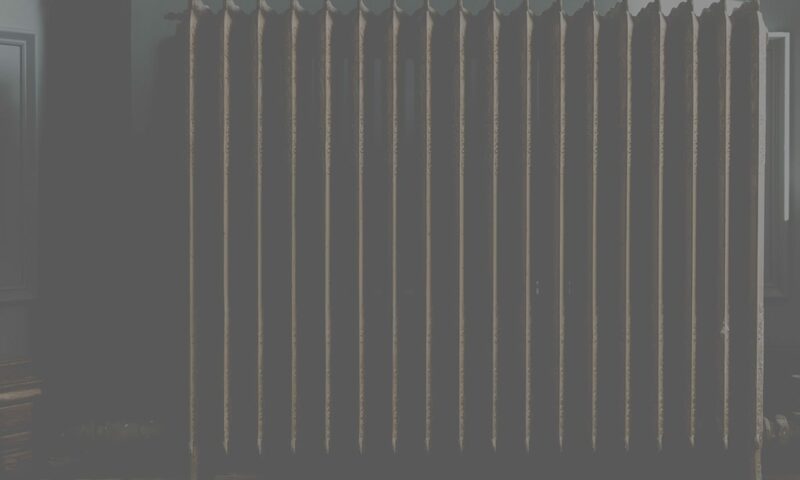 This black sludge is typically know as iron oxide which is mainly ‘rust’ that has broken or fallen away from the inside of the radiators or other components of the your central heating system. The effect of this is no different to you or I have a bad diet of fatty foods, it makes things far less efficient and shortens the life expectancy. As with most things in life prevention is better than cure, however, in both cases there are things that can be done to solve these issues. The second thing to do is remove the sludge from your central heating system. This sludge is a mix of metal oxides, it is magnetic; a fact that most people had known for as long as Central Heating systems had been around. However, like with most things in life, the simple ideas are always the best, it was only recently that Adey Ltd came up with a gadget for removing this magnetic sludge, which they called the “Magnaclean”. As the name suggests, this ingenues idea, is simply a magnet that sits in your Central Heating system and cleans the water that runs past it by making all the metal oxides stick to the magnet. When the magnet is completely covered you just take it out, clean it and put it back in again. Of course the Magnaclean does not stop your system rusting away, it merely reduces the damage caused by this rust; so you need to use an “inhibitor” as well. Ah, some of you may be saying, if I’m using inhibitor I won’t be getting any sludge, so I don’t need a Magnaclean! Absolutely right, but how do you know if you have enough inhibitor in your system? At the very least you could look upon the magnaclean as a window into the health of your central heating system. During September & October we’re finding this is the most common problem homeowners are having at the moment. With an unpredictable winter on the way the last thing most homeowners want is to switch on the central heating and fine the boiler isn’t working. At that particular moment there is nothing more frustrating and sometimes costly for your boiler to go on the blink! our advice is to be aware of costly call out or emergency charges. Our recommendation is always ask the engineer or company to explain how they charge for the services they provide before you call them out or they start working on your boiler or any of your gas appliances. Amongst problems with boiler breakdowns and servicing we are also seeing a lot of people across Coventry & Warwickshire asking for advice on the following Central Heating, Gas and Underfloor subjects. We thought we’d give some of those visitors some advice on these areas, what to look out for and where we can help you. If there is anything else you would like advice on please either contact us or comment below. We’d be happy to hear from you and if its something we don’t specialise in we can point you in the right direction. Would Power Flushing solve this…. Maintain your Central Heating System – otherwise this could happen! Not maintaining your central heating system pipework can lead to serious damage to your boiler and radiators. On being called out to a Ariston boiler breakdown in the Coventry area, we came across a novel way someone has connected the pressure relief pipe, in addition to this the outer casing was stuck on with tape. They had used a ‘Garden Hose’ to connect two copper pipes. This is surely a case for Rogue Traders!!! Is often the question asked by most home owners and most of us don’t know where to start even before we asked for advice from a registered installer. Often this happens when your existing boiler has a fault or has died on you. By law, all new boilers must now be high-efficiency condensing boilers unless it is too difficult or too expensive to fit one. Condensing boilers capture the heat that is normally lost by traditional boilers and reuses it. This means that a top of the range A-grade boiler could have as much as 96% efficiency, such as Vaillant, Main amongst others. See our special offer on combi boilers with 5 year guarantee Vaillant boilers here. Which boiler to choose can be very confusing, time consuming and to most people they’re unsure which type is best suited to them their home and family. Another issue is that different types of boilers are sometimes known by different names. Combination (Combi) boilers have become the best selling boiler type for gas central heating in the UK. And because they heat water directly from the mains, you don’t have to wait for water to heat up – and your stream of hot water will be endless. They are usually small and very economical to run. Combi boilers don’t use an external hot water tank, there is no cylinder to heat first, and no need to reheat the same water again if you’ve let it run cold. However, for this same reason – the lack of a hot water storage tank – your nice hot shower will be interrupted if anyone else starts running the hot water in your home at the same time. A system boiler is a great choice for a larger home or family with hot water needs that can’t be met by a combi boiler, but who want to keep loft space free. You will need a tank in the airing cupboard though. However, you’ll have to wait for water to be heated when you want it, and it could run out if it’s used too quickly. The second tank is the feed and expansion tank which contains the correct level of water for your heating system, allowing for water expansion when you turn the heat on. Showers, taps and running baths can be drawn in any room at the same time, but be aware that if the cylinder should run cold it will take a little time to reheat. Back boilers provide reliable heating and hot water, and allow you to draw hot water from more than one tap at the same time, without affecting other outlets. However, they need a lot of space – the boiler hidden behind your chimney, two tanks in the loft, and a cylinder in the airing cupboard. Installation costs can vary widely depending on the type of system you currently have and the type you would like to replace it with. You should expect to pay around £1,000 for a good, gas boiler and more for an oil one, but it’s the work itself that will also cost money. If you’re having a full heating system overhaul, including radiators and heating controls, the cost will go up considerably. If you will struggle to meet the costs you should first check to see if you’re eligible for any grants or special offers. If you can’t get a grant or discount, there are a lot of national companies offering a “buy now, pay later” scheme – some of these offer 0% interest for a set time, while others will tailor your repayments to suit your circumstances, but be wary of taking this type of finance – the interest is usually around 30% and you could get a much better rate on a loan from your bank. As part of this beautiful Oak Framed Kitchen Extension Hunt Heating was asked to design and install a heating solution that would eliminate the need for unsightly radiators. Because so much emphasis was put on interior aesthetics and finishes to reflect the quality of the building, Hunt Heating recommended a Nu-Heat underfloor heating solution. It would not only eliminate the need for unsightly radiators and provide more space to arrange furnishing to the owners best advantage, but would also offer the most comfortable and even form of heating at economical costs. Unlike many similar systems, Nu-Heat underfloor heating is suitable for whole house heating and ideal for installation with practically any type of flooring including screed, floating and suspended. The choice of floor covering is also virtually limitless including flagstones, tiles, timber, carpet and vinyl. Richard Hunt gets involved in Movember for Prostate Cancer, what’s it all about?